DALLAS, Texas, August 4th, 2010 – Team Hall & Nass today officially announced their alliance with one of the coolest emerging clothing brands in the United States, DSTROYR, for their run in the upcoming Dustball Rally 1500, to be held on the highways and byways of the Southwestern United States, August 13th – 15th, 2010. DSTROYR was started by artist Jon Chase as a blog, with a mission to shine a spotlight on the local art scene and events happening in and around the community of Riverside, California. Today, the DSTROYR site covers a wide variety of artistic endeavors and helps spread the word about the latest, coolest things coming out of Southern California and beyond. DSTROYR is on a mission to turn people on to something new. While the DSTROYR brand of apparel began from a simple necessity to promote their site, today it has become a reflection of influences. The concept behind DSTROYR is simple – be the best you can be for yourself. Whatever you desire to excel at, kill it, own it, DSTROY it! Please note that Team Hall & Nass will be conducting pre- and post-Dustball Rally interviews with select media outlets as time permits. If you’d like to schedule an interview in person or via phone, please contact their media firm with your request. DALLAS, Texas, August 4th, 2010 – Team Hall & Nass today officially announced their entry into one of the most challenging gimmick rally events in the United States, the Dustball Rally 1500, to be held on the highways and byways of the southwestern United States, August 13th – 15th, 2010. Hailed among automotive enthusiasts as the “last great American gimmick rally,” the Dustball Rally is one of the most challenging and most exciting events held in the world of automobile rallying. The Dustball Rally is an annual, multi-day, multi-stage gimmick rally, played out over a 1,500 mile predetermined route known only to the event organizers. Competitors are handed a packet of information at each checkpoint containing a quiz sheet. Teams learn of their next destination only by solving a series of riddles, mathematical problems, and by locating a series of clues along the route to fill in the blanks on their quiz sheet. Those answers ultimately reveal the direction they need to head in to reach their final destination each day. It is nothing short of automotive driving and navigation madness at its best. 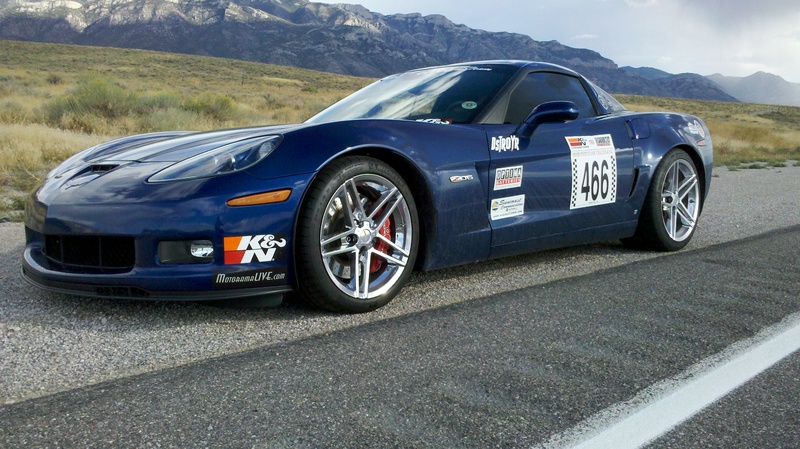 Driver Johnny Hall and Co-Driver/Navigator Taylor Nass made quite an impression on the 2009 Dustball Rally when they piloted their 2009 Chevrolet Corvette ZHZ Z51 convertible to the front of the field each day. That event ran from El Paso, Texas to Las Vegas, Nevada and back to El Paso via a maze of back roads, twisty mountain passes and desert straightaways. For 2010, Team Hall & Nass have entered the Dustball Rally with a “mystery car” with plans to unveil their new machine on the starting grid. No one knows for sure what they are bringing, but if history is any indicator, it will be something unexpected, and without a doubt, it will be fast. Team Hall & Nass’ amazing (and sometimes almost unbelievable) tales of adventure were chronicled in a series of nineteen posts, released throughout September 2009 on TeamHallnNass.com. The tales they shared read not so much like those of a typical gimmick rally team, but more like a real life Smokey and the Bandit meets Cannonball Run story with a gimmick rally thrown into the mix. Even though the Dustball Rally is “a rally, not a race,” Team Hall & Nass is gunning for the overall win that eluded their grasp last year after a valiant, multi-day front-running effort was robbed from them by the rogue forces of the evil Hamthrax who quite literally blocked their path to victory. For 2010, Team Hall & Nass have made special Hamthrax evasion preparations for the event to ensure they are both highly competitive (and highly invisible when need be) in their quest for victory. Hailed among enthusiasts as the “last great American gimmick rally,” the Dustball Rally 1500 is one of the most challenging and most exciting events held in the world of automobile rallying. The Dustball Rally is an annual, multi-day, multi-stage gimmick rally, held on a predetermined route known only to the event organizers. Dustball is a 100% legal gimmick rally, held on open, public roads throughout the Southwestern United States. It is billed as “a rally, not a race.” In reality, it is the world’s craziest scavenger hunt spread out over 1,500 miles, mostly by skilled rally teams in specially prepared exotic and high performance automobiles. Unlike many underground road races, Dustball Rally winners are not determined based on time, speed or distance. Rather, the winner is the team who successfully solves the most riddles, finds the most clues, and navigates their way across 1,500 miles of highways and byways in time to reach the finish line. This type of an event demands a much greater level of skill, cooperation and competition versus the more typical “find the checkpoint in ‘X’ town and state” format used by most major rally events. The addition of searching for clues in both directions of the course poses a whole other level of psychological challenge that tests the abilities of even veteran rally teams. 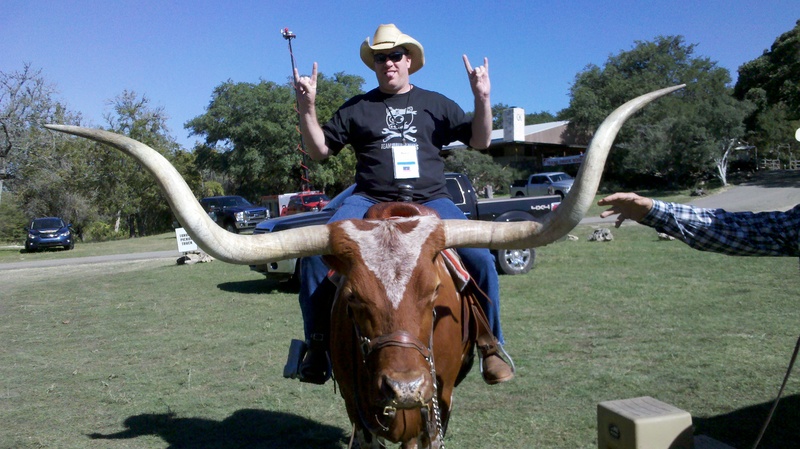 The Dustball Rally is organized, produced and promoted by rally veteran Andrew Medley of El Paso, Texas. In addition to the annual Dustball Rally 1500, the franchise also holds an annual one day rally event, the Dustball 500. For 2010, they added a GPS coordinate-based event to the mix, the Dustball Challenge. For more information on the Dustball Rally 1500, or any of the other Dustball series events, please visit DustballRally.com. LAS VEGAS, Nev., June 15th, 2010 – Team Hall & Nass today officially announced their entry into one of the most challenging open road race events in the United States, the Bonneville 100, to be held in Wendover, Nevada, June 24th – 26th, 2010. In a twist on the usual team configuration of driver Johnny Hall and co-driver/navigator Taylor Nass, this Bonneville 100 effort will consist of driver Berry Lowman competing alongside of his father, unlimited powerboat legend and open road racer, Lanny Lowman. The father and son duo will work together as a driver/navigator team, attempting to win the Grand Sport 3 (GS3) class, averaging 140 MPH in their race-prepped LeMans Blue 2007 Chevrolet Corvette Z06. To accomplish this feat, they must quickly get up to speed from a standing start, then begin their ultimate quest to average an as close to perfect 140 MPH, staying underneath their class-maximum technical speed of 168 MPH, and above their class-minimum speed of 110 MPH. They must navigate down the many long straits and winding corners of two-lane blacktop that comprise Nevada public highway US 93A for a grueling, but lightning-fast 50 miles. Then they re-grid their car and race back up the same course, in the opposite direction, for another 50 miles. Their time/speed averages in both directions will then be combined, and the car in their class closest to a perfect 140 MPH will win the GS3 class trophy. It should be noted that this is not the first time this particular duo have joined forces in open road racing. This father and son combo have come together before to compete in the Silver State Classic/Nevada Open Road Challenge in the 110 and the 125 MPH classes, with tech speeds up to 165 MPH. 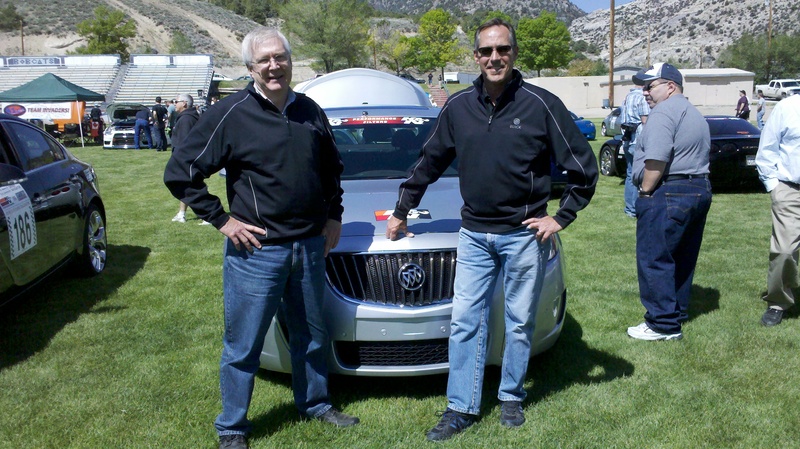 The Lowmans have also seen previous success at the 2008 Bonneville 100, taking home 3rd place in the highly competitive 110 MPH class. While this type of racing is commonly referred to as “Open Road Racing,” it actually occurs on sections of temporarily closed public highway during the racing events. There is no risk to the general public, no oncoming traffic, no section of the road outside of the watchful eye of race command communications, and most importantly, no location on the course in which a race vehicle is ever more than one mile away from a course safety worker. There are typically ambulances with specially trained EMT crews located at each end, or in the middle of the course. There is also typically a life flight helicopter on standby at the midway point of the course. Even though regular passenger automobiles are eligible to enter, and they typically comprise upwards of 75% or greater of each open road racing field of cars, this is in no way a typical Sunday drive. With speed classes typically ranging from as low as 95 MPH all the way up to unlimited classes at some venues, it is not unheard of to see open road racing vehicles averaging speeds over 200 MPH for up to 100 miles with straightaway speeds in excess of 220 MPH on two-lane blacktop highways with less than optimal curves, not on perfectly smooth, banked corner race tracks. Due to the nature of this type of racing, it has been deemed the most dangerous form of motor sports in the world. It also happens to be the most exciting to participate in. Hailed among the open road racing community as one of the most challenging, and most exciting events in the world of speed, the Bonneville 100 is a two-stage race held on a 50 mile section of US 93A, a public, two-lane highway in extreme northeastern Nevada. The event borrows its name from the storied racing mecca, the Bonneville Salt Flats, which are located a scant few miles east of the starting line, just outside the town of Wendover, Nevada, on the Utah side of the state line. The 2010 event features three days of activities, with technical inspections on Thursday, June 24th, a public car show of all race vehicles on Friday, June 25th, the running of the Bonneville 100 on Saturday, June 26th and an awards banquet on Saturday night. The Bonneville 100 is organized, produced and promoted by open road racing veteran Michael Borders of MKM Racing in Las Vegas, Nevada, and is held due to the permission and cooperation of the Nevada Department of Transportation. For more information on the Bonneville 100, or MKM Racing, please visit OpenRoadRacing.com. Please note that Team Hall & Nass will be conducting pre- and post-Bonneville 100 interviews with select media outlets as time permits. If you’d like to schedule an interview in person or via phone, please contact their media firm (listed above) with your request.